So at the beginning of the month, when I finally got my election reflections out of my system, I concluded by re-iterating what I said back in November: that whoever won the presidency, the localist alternative to national dysfunction and decline will continue to exist as an option to be explored–or, better, as a demand that must be responded to. Since Trump’s victory, the truth of that observation has been reflected in cities across the country. Urban centers, by large margins, did not go for Trump, and it’s not hard to guess why: besides the fact that cities are, almost by definition, more religiously and racially diverse than rural areas, they are also the self-perpetuating engines of both global finance capitalism and the education meritocracy, both of which are synonymous with the sort of pluralistic, neoliberal system which Clinton, for better or worse, embodied. So it’s not surprising that multiple large American cities–or at least multiple agencies, both public and private, within these cities–have called to resist Trump’s agenda (particularly as regards immigration), and that there are people are looking seriously at how urban areas could both legally and financially pull off that resistance. Perhaps this is an example what a Front Porch Republic commenter called the left’s “strange new respect for localism” (a respect which is much needed, that’s for certain! )–but if so, is it a respect that the usual defenders of local government and local economies will support? My suspicion is that they’ll need some persuading on that point–and the nature of city governments, and urban cultures generally, are part of the reason. So, as one small effort to try to organize my thoughts about politics in the Trump era, let me see if I can make the case for why urbanism should, and usually does, comport with localism, and thus why urban-sympathetic conservatives and radical and democratic localists, as we all face 2017, have much in common. Let’s begin with the basic complaint that so many people have with city government–namely, as the old adage about “City Hall” puts it, you can’t fight it. The assumption is that you’ll have no voice there, no influence, no way to make your case, no way to seek any kind of reasonable compromise: you’re just going to be subject to their red tape, their arbitrary rules, and that’s the end of it. As someone who actually serves on a public advisory board here in Wichita, KS, I can testify that’s not really true–I have, in fact, seen more than a few determined citizens and citizen groups work with government, make city leaders aware of issues, press their case, and come out winning in the end. But I also know that those circumstances stand out because they’re unusual. The more usual model is the random citizen, diligently going about their lives, working at their business, doing their job, raising their kids, pursuing their goals–and running smack into some ordinance or rule or law, one they’d never heard of before and couldn’t possibly account for. And when they turn to the relevant authority, such accountings are not forthcoming–just an edict to obey. The understandable frustration which this causes is magnified when the source is not the distant capitol, but a group of people just right downtown. So the anger of the restaurant owner dealing with city agencies, the construction company facing zoning regulations, the solitary individual trying to figure out why they’re suddenly subject to the costs of their house being included in a re-drawn flood plain district–yes, that really is common enough to give life to the proverb. But should we allow such proverbs, however unfortunately accurate they may sometimes reflect our all-too-human sensibilities, to guide our thinking? Especially if one takes seriously localist or republican ideas, if one believes that there is a real value in making use of local knowledge or in civic engagement within one’s community, the fact that random inhabitants of a particular place may often find themselves flummoxed by the rules which organize said place doesn’t seem like a sufficient reason to complain about either the place or the rules themselves. Unless, that is, one’s underlying assumption is some variation on Robert Nozick’s (or Ron Swanson’s?) nightwatchman state, where the general goal is to minimize all government, no matter what it’s basis. In which case, since presumably it will usually be some form of local government that one will most often run into–and hence have it called to one’s attention and ire–and since over 80% of Americans live in some sort of urban environment, whether city or suburban, its predictable that city governments get the brunt of this libertarian frustration. And as much as we might prefer to think in terms of populist economic sovereignty or democratic subsidiarity, a plain old pseudo-(but not, I think, actual)-Jeffersonian (or Calhounian) defensive libertarian frustration plays a role in much American localism. Anyone who has really looked at the history of American political thought knows this. Jeff Taylor’s massively detailed Politics on a Human Scale: The American Tradition of Decentralism almost never mentions cities (his focus is almost entirely on the constitutional debate throughout American history over the power of the national government versus that of the states), but when it does, they’re depicted as sources of a centralizing, regulating tendency, which was essentially the position taken by Thomas Jefferson, William Jennings Bryan, and many others sympathetic to the mostly agrarian, mostly pastoral (and, in practice, states-right-based) yeoman vision of American freedom. As he puts it early on: “Urban areas include their fair share of decentralists and big-city anonymity provides liberty of a sort, but agrarianism remains foundational to the dispersal of power and independence from the state” (p. 6). So if the true aim of liberty is to free the individual from the sort of sovereign restrictions and complications which states impose, one might correctly assume that cities–with their economies based on trade, manufacturing, and other kinds of financial innovation, thus prioritizing a concentration of distinct laboring individuals and commercial interests over the shared maintenance of productive land, all of which results in conflicts over property and privacy, which in turn necessitates that distributive and divisive arrangements be made–will inevitably be a major site of such restrictions, and thus are to be avoided by friends of liberty. The fact that, in the 20th and 21st centuries, those restrictions have at least nominally moved in an egalitarian direction doesn’t make things any better, and in fact more than a few traditionalists might say it has made things even worse. All of which means that urbanism can’t really be a legitimate expression of localism, right? Except…wrong. Consider some caveats–first and most obviously, as I’ve written about before, there is the fact that cities are almost never, in fact, themselves sources of sovereign authority. As such, their authority may be experienced as centralizing and state-like–but it isn’t, at least not entirely. It is, rather, based at least in part upon assumptions which are significantly more organic, historical, pragmatic, even anarchic and “appearential,” than could possibly be the case in the imagined community of a modern nation-state. State power acts along lines that are justified constitutionally or contractually (or so we hope! ), with a–usually, mostly–accepted civic identity and history aligning with the legal validation of its use of coercive power. While the edicts of a city borrow the form of such justifications, they nonetheless function in the lives of those of us who live in them (which is, as noted above, almost all of us) differently. Why? Because an urban context is rarely experienced as a national or state one, or even as a subset of such. Loren King, in his essay “Cities, Subsidiarity, and Federalism,” noted that “when we imagine the coherence of a city, and when we identify with that city and our fellow residents, our imagined coherence and identity are grounded in visceral experiences of the elements of the city….the spatial integration typical of cities is not merely dense but multifaceted and often characterized by subtle forms of interdependence, both of which help to establish an imagined coherence, even a widely accepted identify of some sort, to the city as such.” In other words, unless is already ideologically committed to the aforementioned libertarian minimalism, it is simply a social fact that the conceptual operation of urban organization and centralization is different from that of the state. 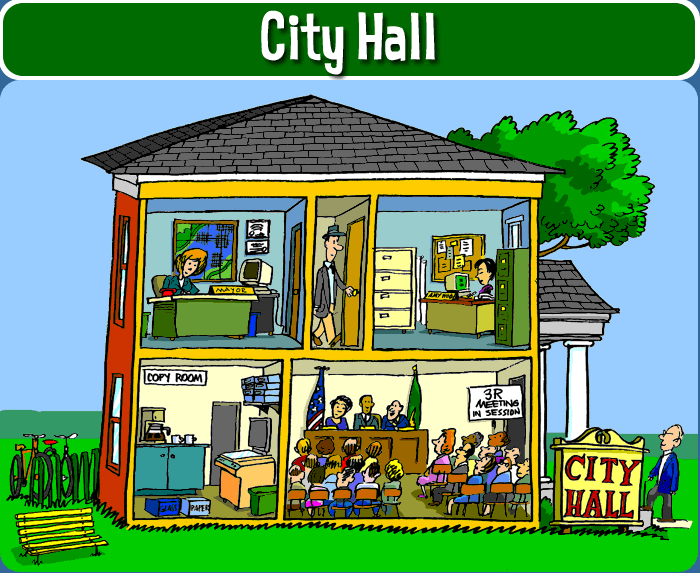 You actually can go to city hall, it is a place that can actually be entered, and city council meetings are contexts where people can actually speak and (at least in theory) be heard–whereas Congress allows no such option to those who visit it, and is on solid constitutional ground in doing so. The experience of urban interdependence and identification clearly is of a particular sort. Usually involving a degree of anonymity (which Taylor allowed was a not insignificant aspect of personal liberty), often not involving a deeply shared cultural frame of reference, urban interdependence instead fosters a kind of “cosmopolitan ethos.” Now that very idea, if you take seriously the observation that an ethos can only be developed by a defined people who express and practice it, and that a defined people–a polis–necessarily have to be possessed of a place, may seem incoherent, not to mention in tension with what I just wrote about city hall. But perhaps that is the complicated truth which so many localists (perhaps in particular those of us reluctant to admit how thoroughly the developments of industrialization and capitalism have transformed our categories of thought) have a hard time admitting to ourselves: that cities, as sites of plurality and commerce and transformation, can have cultures, can have identities which function in at least a pseudo-communitarian way to make up for absence of a sovereign language or historical consciousness or cultural frame in terms of enabling all those city regulations to operate. Sure, the police officer’s warrant and city hall’s threats of fines enable them to do their work too–but not all of it. Those of us who take seriously the decentralist tradition Taylor writes about assume that Jefferson and Bryan and thousands of other advocates of localized, producer-based economies and communities were not wrong about the idea that, in rural and small town environments, there can be fewer, and thus more effective and less alienating and more humane, forms of government, because the people who make them up and are subject to them are more likely to known to one another, and share certain community-wide perspectives and expectations–they have local knowledge, in other words. Perhaps in cities that local knowledge is somewhat compromised by size and density. But the sense of the place, the shared and participatory identity which the patterns of urban life inculcate, the urban “crews” that Susannah Black has so thoughtfully described, and the foundation for understanding (and at least a minimal level of trust) which both supports and follows from all that? Just because the people in question came together for cosmopolitan reasons rather than due to traditions rooted in village history doesn’t mean attachments aren’t experienced anyway. Will those attachments implicitly justify city governments in understanding themselves as serving a body larger than the individual, and one expected to impose a rational order upon its individual residents? Probably often. Yet those attachments will also guide the way that order will be conceived. 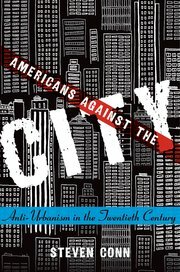 In his delightful history of urbanism and its discontents, Americans Against the City, Steven Conn makes the argument that cities provide a home for cosmopolitan values which can take on an enriching and even rooted life of their own in opposition to the anti-urbanism more common to American life. Now pick up that idea, and combine it with the argument Jacob T. Levy laid out in his article “Federalism, Liberalism, and the Separation of Loyalties” (which later became a component of his excellent book). In that article, Levy emphasizes that an important aspect of the struggle for individual liberty against centralizing governments–and thus, presumably, the real point of any real (as opposed to merely Confederacy-addled or individual-liberation obsessed) localism–is for individuals to connect themselves with distinct loyalty-generating and interest-establishing political bodies, which would then lead to effective resistance to larger patterns of governance. For Levy, this meant making a defense of those provincial bodies which have historically characterized federal arrangements–and which have, of course, regularly antagonized those committed to more creating a more efficient, more rational and national, system of rule. Levy originally wasn’t very sympathetic to the idea that municipalities could play such a counter-veiling role, though not out of any anti-urban animus; he simply didn’t see them as having a large enough population, a grounded enough constitutional legality, or a distinct enough economy to serve as a rival concentration of interests to distant and distancing states. As he commented, “if interests don’t crystallize into something like an identity or ideology…it seems unlikely to suffice in [presenting an alternative to centralization].” However, Levy hedged on that claim somewhat in his later book, especially as he came to recognize that provinces, states, and counties often reflect a jurisdictionally and constitutionally generated point of view, and thus are often dominated by elites who have an interest in that perspective, rather than reflecting organic local agendas and priorities. One of the great obstacles of the post-Marxist left in the Western world has been its debilitating pre-occupation with and internal struggle over whether or how to attempt to build “socialism in one country”–or, to escape dated Cold War terms, how balance global struggles for justice against local needs for community. In this, the internationalist bent of many on the egalitarian side of things has been unfortunately abetted by individualists who see no need to recognize any economic borders whatsoever, much the political salience of localities. This needs to change. Defending urban areas as valid sites for the political expression of localist attachment and thus as a source of counter-veiling identity and democratic power is hardly a solution to global problems (despite the well-intentioned but goofy yammering of a few). But it is, I think, key for people who are rightfully concerned about what 2017 may bring, whether from the left or the right, to learn to recognize that the idea of urban resistance has more in common with the traditionalist defense of local spaces against centralization than they might at first realize (which is not necessarily a defense of all local traditions! ), and similarly that urbanism’s generally equalizing acts of regulation and organization are, no matter what Joel Kotkin and other defenders of suburbia say, simply not the same as state actions (which is not necessarily a defense of all urban regulations!). Many conservatives have prided themselves on mouthing decentralizing or subsidiarian truisms, without actually practicing themselves; too many liberals and progressives and socialists have, in my view, perhaps because of the aforementioned attachment to thinking in grand and international terms, taken them at their word and simply rejected the lessons which localist ideas have to teach the effort to build up strong communities. In the wake of the election, perhaps the ideologically capacious concept of localism will finally be recognized as not something simply agrarian, or simply urban, but something essential for getting through the systems break-down all around us. 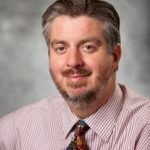 Russell Arben Fox lives in Wichita, KS, where he runs the political science program at Friends University, a small Christian liberal arts college. He also blogs--irregularly and usually at too-great a length--on politics, philosophy, religion, socialism, bicycling, sustainability, pop music, and whatever else strikes his fancy, here. My bad attitude has been enjoying as I watch Progressives discover why Federalism, limited / separated powers, and subsidiarity are good ideas if the Other Side is in power. Now, please God, they figure out why it’s also a good idea when Your Side is in power. We’d likely disagree on a lot of specific policy issues, David, but I completely agree with you here. Unfortunately, the track record is poor: Republicans stopped talking about federalism when G.W. Bush was elected, and started up again as soon as Obama was in power, whereas Democrats talked about federalism all the time Bush was in the White House, then forgot about it when Obama was elected. Of course, there are dozens of specific differences between the various arguments over national vs. state or local power which have taken place over the past 16 years (health care vs. marriage vs. welfare vs. guns vs. abortion, etc. ), and it probably really is the case that some factions on both the left and the right have an easier time learning this lesson than others do. Unfortunately, those factions never seem to dominate their respective parties. You are both right in what you say. It goes even deeper than that though. 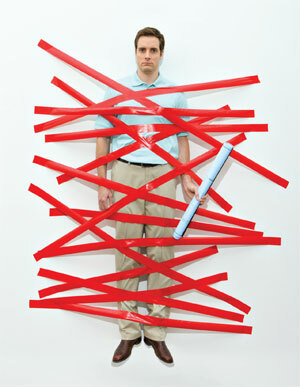 In my state the Republicans at the state level want to take away localities ability to make different policy choices. The Democrats would be no better if they were holding the gun. The solution is simple, its just not easy. Those two DC based and globally funded political cartels have not and will not represent true federalism, much less localism, so we should build our own decentralized alternatives which do. I am not talking about a national party, but small groups of loosely connected friends who can find and back independents for the state legislature or county judge. Maybe even congressman in time. Depending on state ballot access laws, they may even be able to get a line on the ballot as a 1 state only party- as any group of people who really believe in federalism should be.